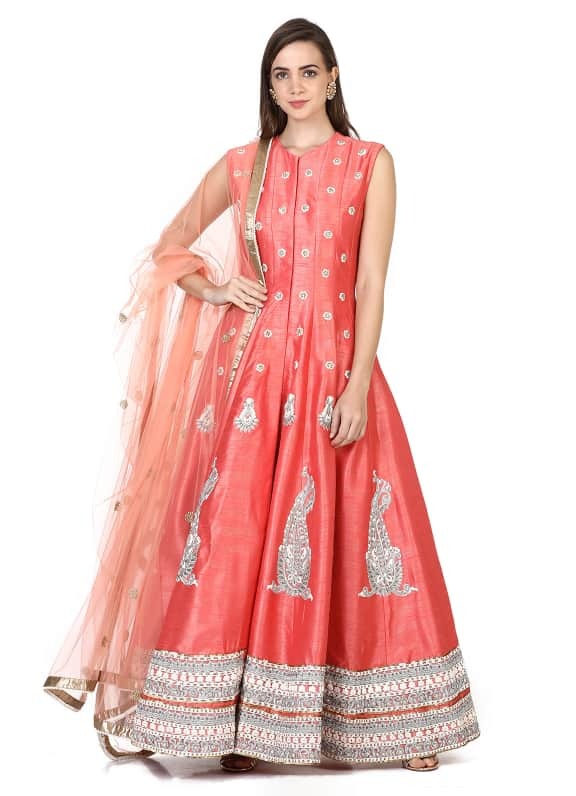 This set features a coral sleeveless anarkali in raw silk base with hand embroidery all over. 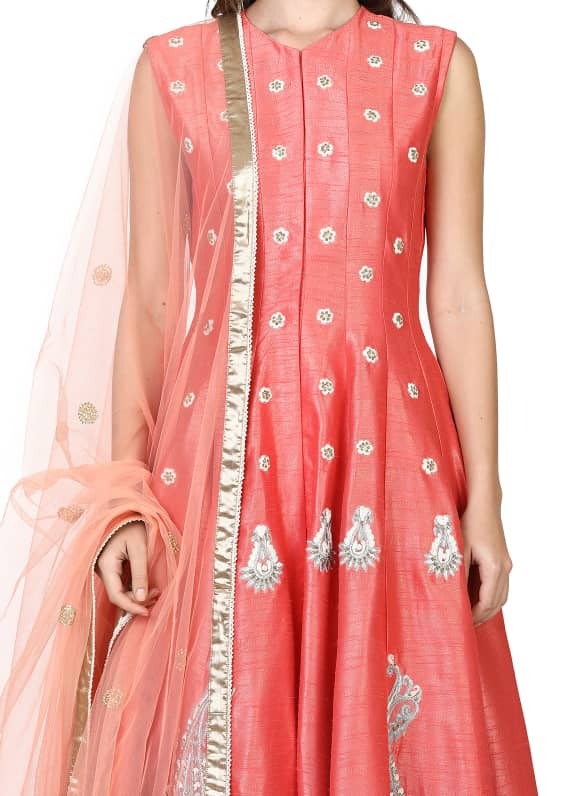 It is paired with matching lycra churidar and net sequins dupatta. 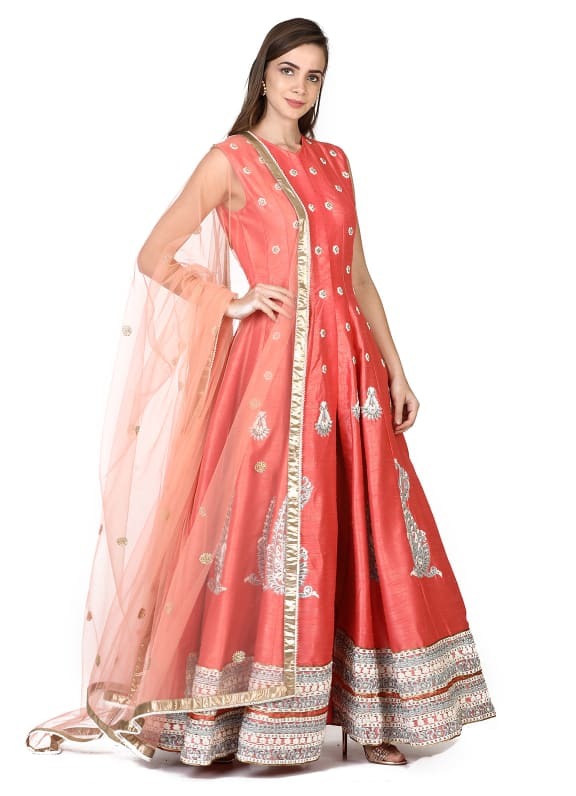 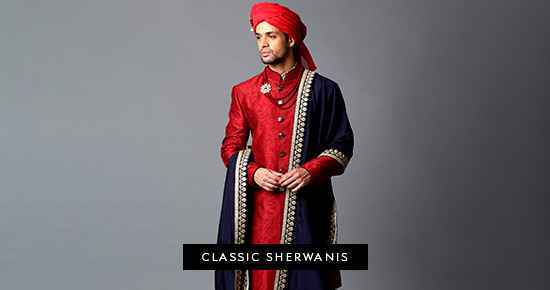 This striking ensemble sets the perfect tone for a sangeet night or engagement. 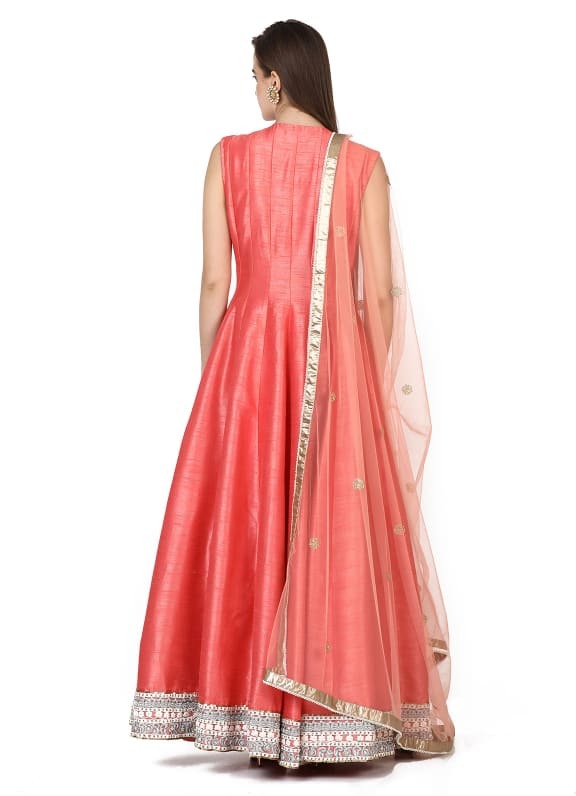 Style your look with a pair of Amethyst earrings.